In the year 1630 A.D.Shahji Bhonsle got the Lal Mahal built for his wife Jijabai and son Shivaji. The original Lal Mahal was built with the idea of reconstructing the recently razed city of Pune. A young Shivaji entered the city with his mother and guru Dadoji Kondev and stayed here till 1645 when he conquered his first fort of Torna. Lal Mahal was razed at the end of 17th century due to various attacks. 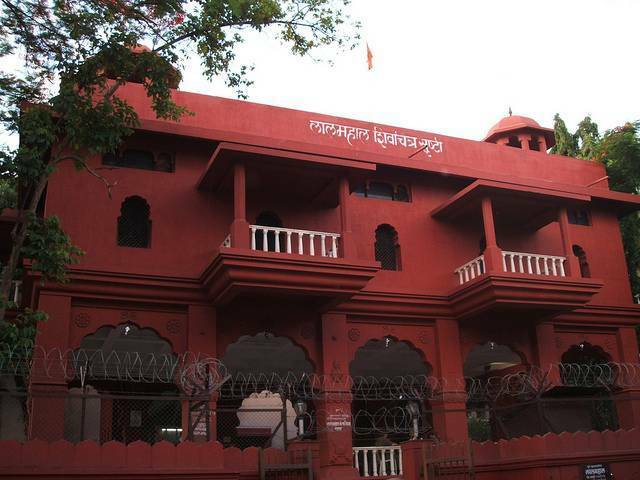 The current Lal Mahal built in the heart of the city by Pune Municipal Corporation, is a reconstruction of the original, using only part of the land on which the original was built. There are many pictorial displays of Shivaji with his mother inside the palace of Lal Mahal. Notable among these is a picture of Shivaji ploughing the land with a golden plough while Dadoji Konddev and Jijabai are looking down at him. A statue of Jijabai is another attraction. The Mahal is also famous because here Shivaji chopped off the fingers of Shaista Khan when he was trying to escape from the fort.